The historic Flat Rock Church. Demolished in 1972. The Flat Rock community illustrates the rich and dynamic history of African-Americans in the Heritage Area. A small geographical area south of Interstate 20, the Flat Rock community began as a agricultural community bounded by three small slave-holding farms: The South, Lyon and Johnson Farms. 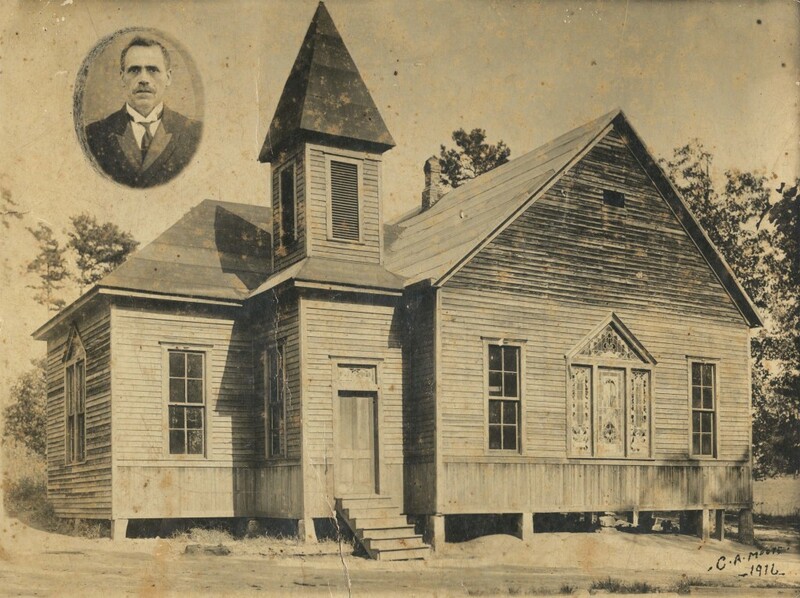 Following the Civil War, former slaves, now free and ready to create a new life, moved into or stayed in the area and created bustling churches, schools, and civic organizations that lasted for decades. Both Chris Tucker, a well-known actor/comedian, and Warren Moon, former NFL quarterback, can trace family roots back to the Flat Rock community. While Flat Rock was a prosperous and healthy community prior to the mid-20th century, the Great Migration of African-Americans out of the South combined with the Great Depression forced many residents to leave the community for new opportunities. T.A. Bryant, a local farmer and businessman, began purchasing land in the 1920s to help citizens remain in the area and to attract new residents. Bryant leased and sold his parcels using generous terms and worked very hard to promote Flat Rock and its virtues. Although the community declined further in the 20th century, it remains relevant today as an important look into the lives of freed slaves and their descendents. In 2007, Johnny Waits, a lifetime resident and descendent of the one of the first families, started the Flat Rock Archives. The Archive seeks to document, preserve, and promote Flat Rock’s great history as well as the Flat Rock Slave Cemetery, one of the few intact slave cemeteries remaining in Georgia. For more information read the Flat Rock Brochure.